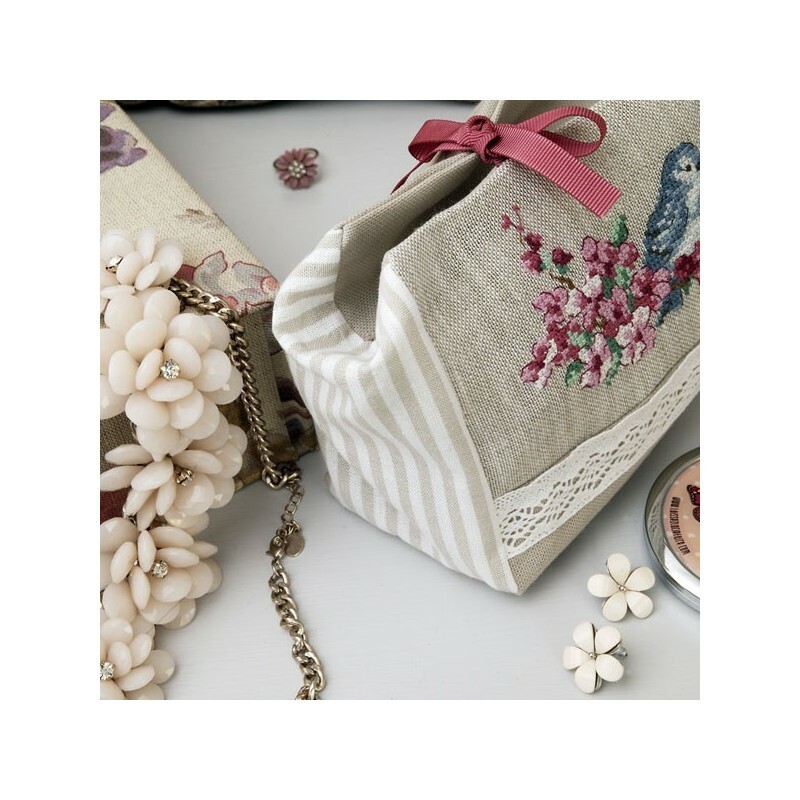 A delicate bird came to sit on this pouch in bloom and it will keep your fragile accessories or jewelry. This pouch measures 13 x 24 cm. 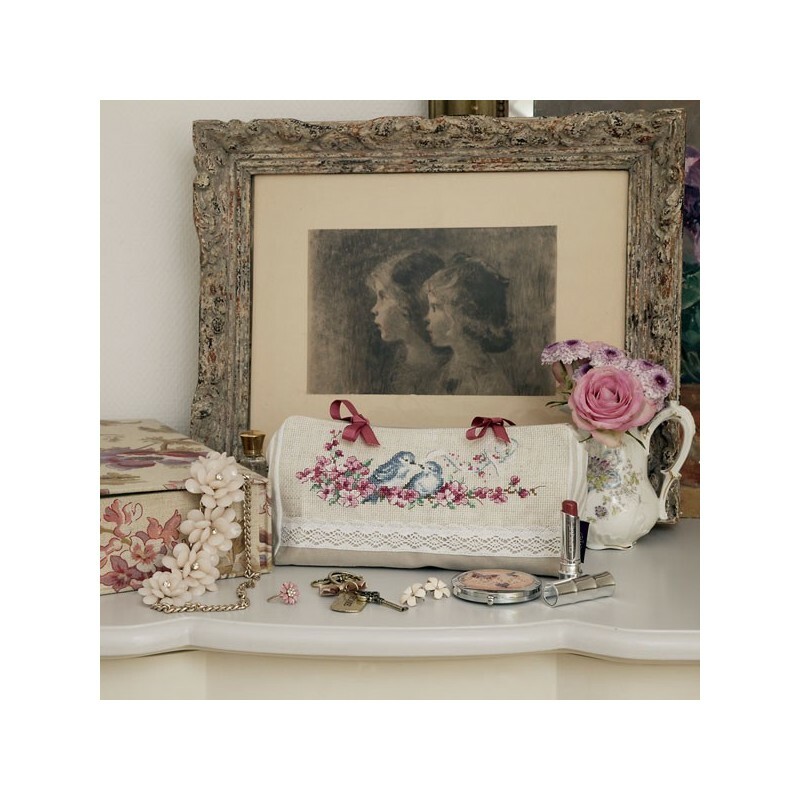 A large flat base (8,5cm) makes for a large storing capacity. The back and lining are in pale brown cotton. 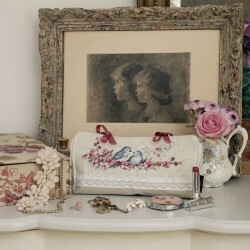 To embroider in cross stitch on 5,5 count ivory Aïda. The bottom of the lining is open so you can pass your hand through for embroidering and afterwards close with small stitches. Needle and threads not included. The pattern (symbols and colours) and the DMC colour chart are included with the pouch. Also available in a linen version. Click here to see the product !